Inspired by grown-ups, made for kids! Big on style but small enough for toddler mouths and hands, Polish™ stainless steel utensils give mealtime a much-needed upgrade. This sleek metallic flatware is the first of its kind for kids and helps toddlers transition to self-feeding with style and ease. 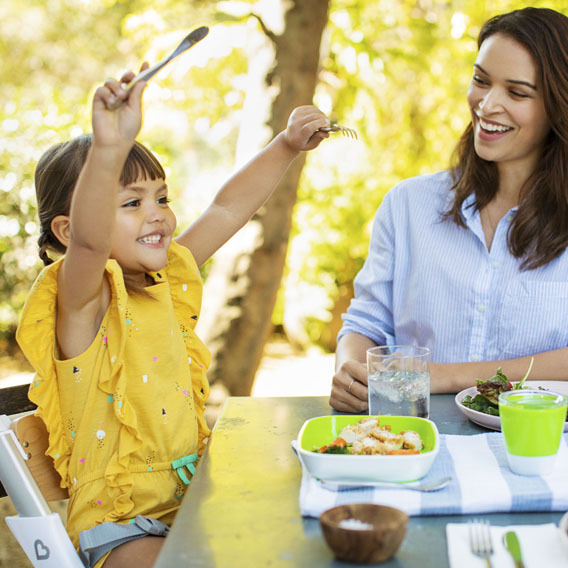 They'll feel like grown-ups at the dinner table with stainless steel forks, spoons and knives designed with their safety and size in mind. Parents love the neutral, goes-with-everything design (no bright colors in sight!) and toddlers love elevating their status to "big kid." Everyone wins!